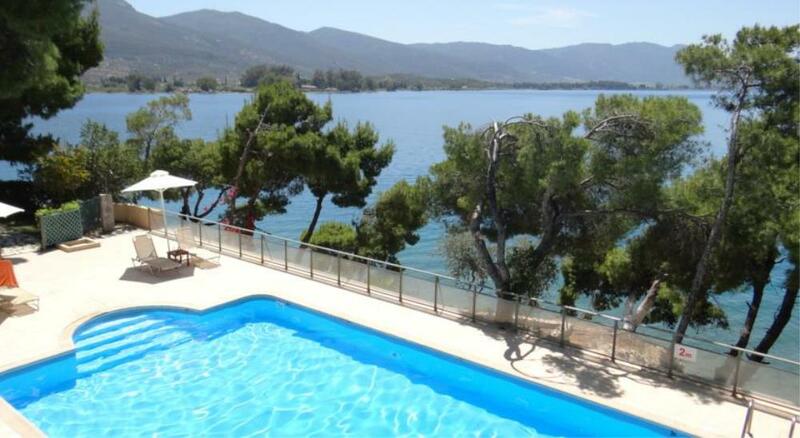 Xenia Poros Image Hotel is located on the picturesque beach of Neorio, just minutes away from Poros town. It offers a unique view to Poros town and the beach of Neorio. 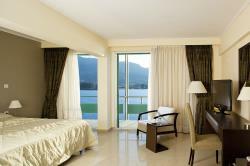 The hotel provides a variety of accommodation options, for couples as well as families. It is an ideal place for an escape to picturesque island of Poros, just 2 hours away from Athens. 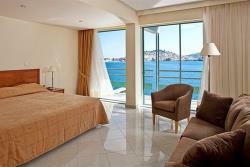 The hotels offers rooms with a splendid sea view and Poros town view. 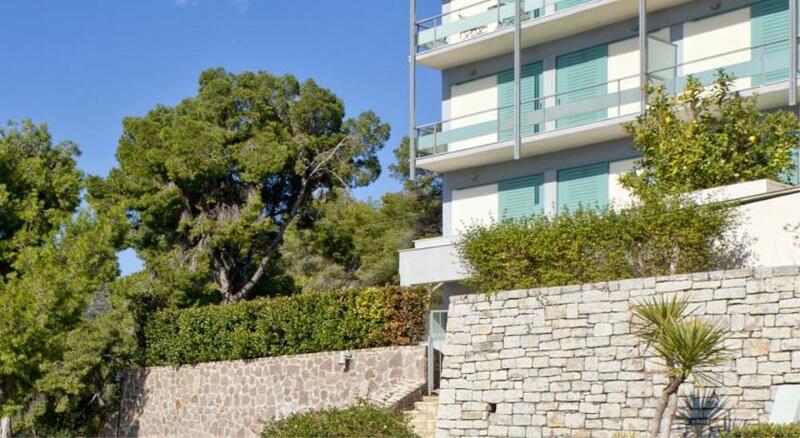 It also offers a fitness centre, a conference room and a private marina. 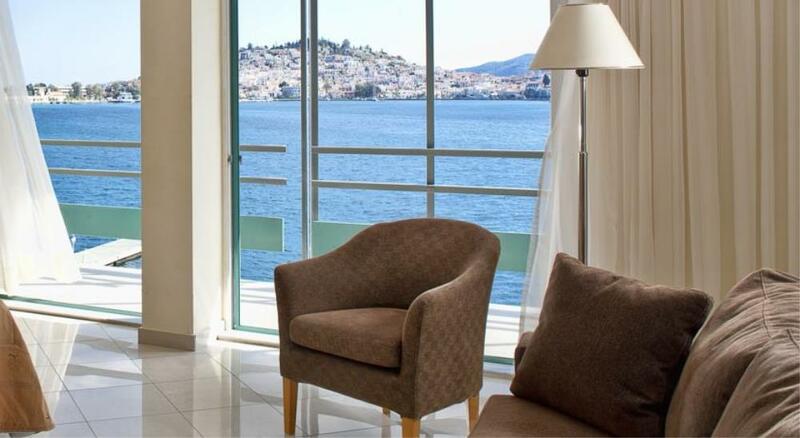 The Xenia Poros Image Hotel also offers its guests 2 restaurants with a view over Poros town, where you can taste local and international gourmet dishes as well as start your day with a tasty breakfast. It also offers a beach bar on Neorio beach where you can enjoy your cocktails and snacks and get refreshed while chilling on the beach. 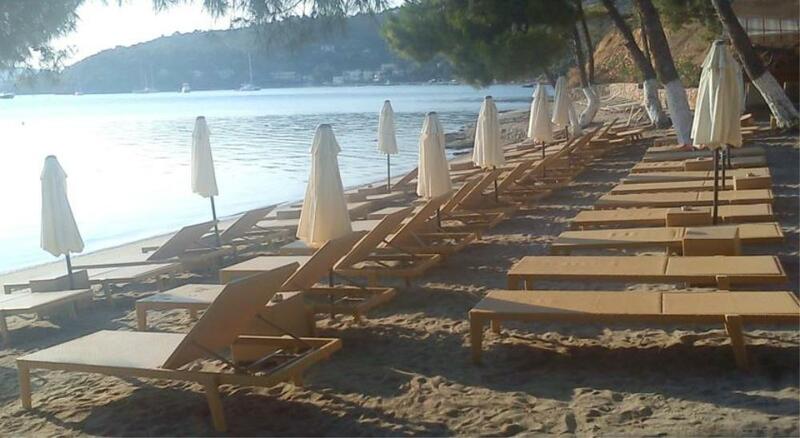 On the beach of Neorio, our guests can also enjoy free sunbeds and umbrellas. Xenia Poros Image consists of 83 rooms and suites and 6 deferent room types to meet the accommodation needs of any demanding traveler. Based on the surrounding natural beauty all spaces are minimal decorated with colors matching the green and blue of the picture all around.